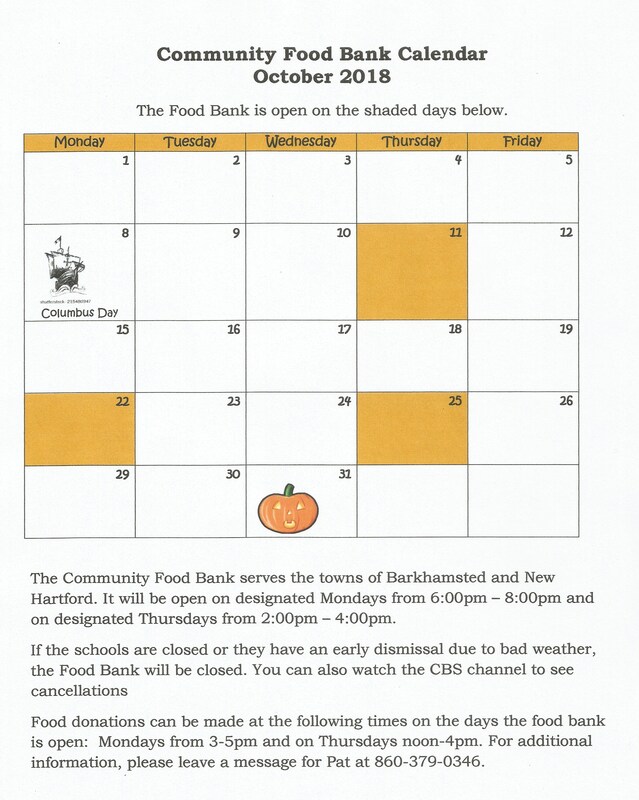 The October calendar for the Community Food Bank is shown below. 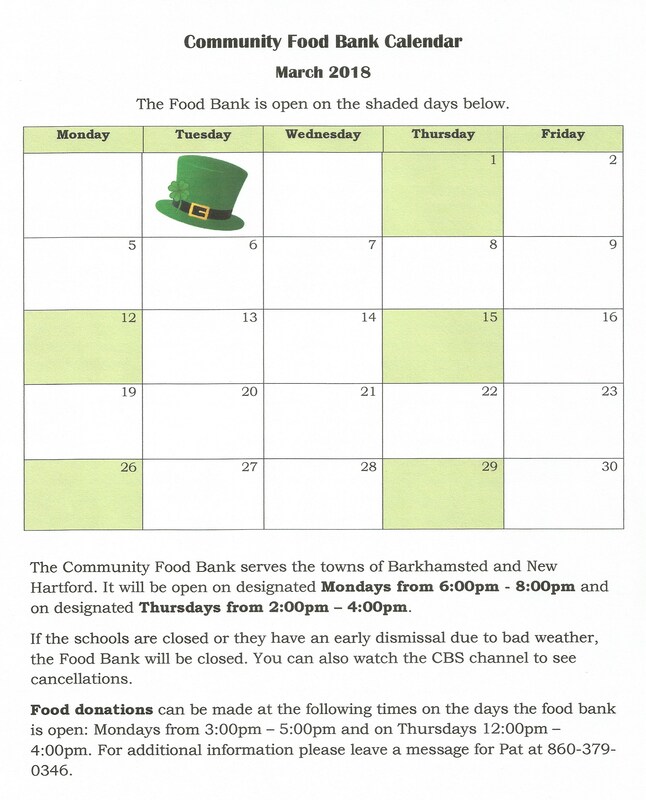 As a reminder, this food bank services residents in New Hartford and Barkhamsted and is located at the Pleasant Valley United Methodist Church. To view the calendar larger, simply click on it. 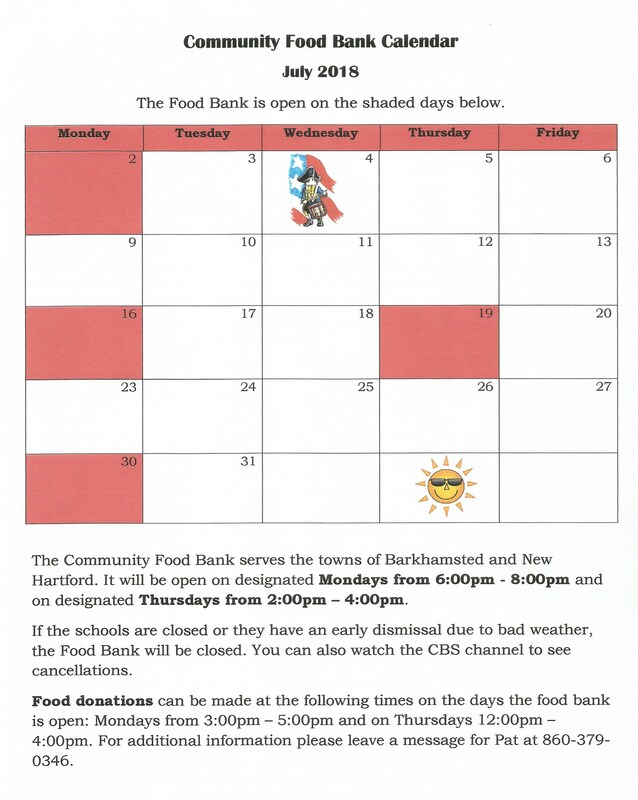 July Calendar for the Community Food Bank is available now. The July calendar for the Community Food Bank, located at Pleasant Valley United Methodist Church, is now available. To view it larger, simply click on the calendar. 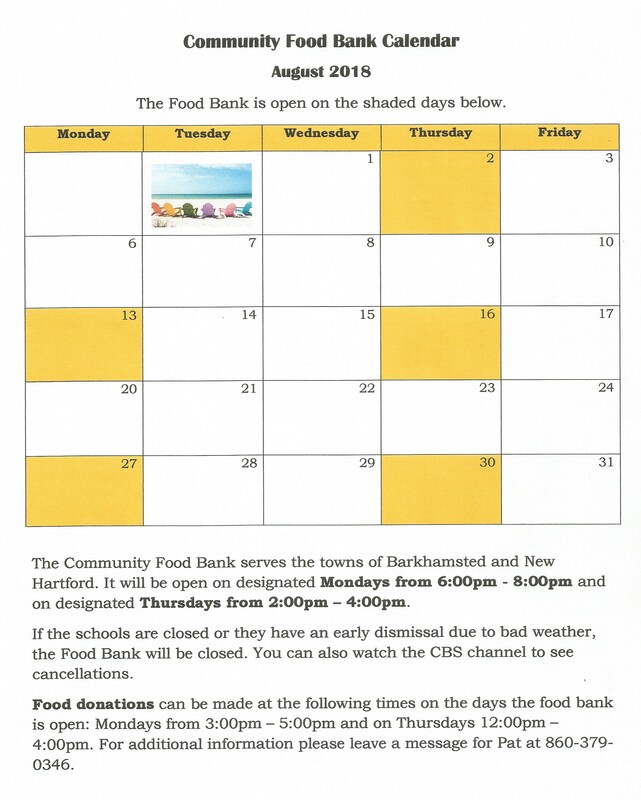 The June calendar for the Community Food Bank is shown below. 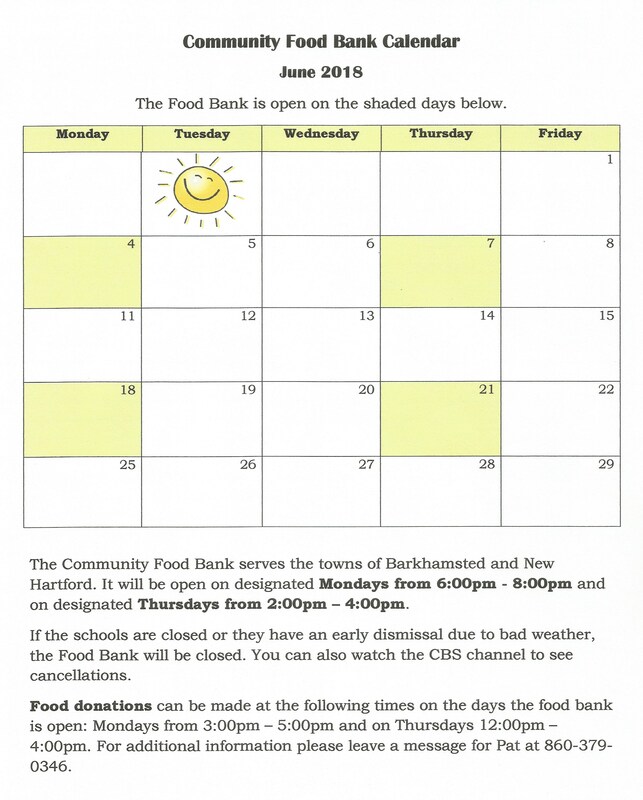 As a reminder, this food bank services residents in New Hartford and Barkhamsted and is located at the Pleasant Valley United Methodist Church. To view the calendar larger, simply click on it. 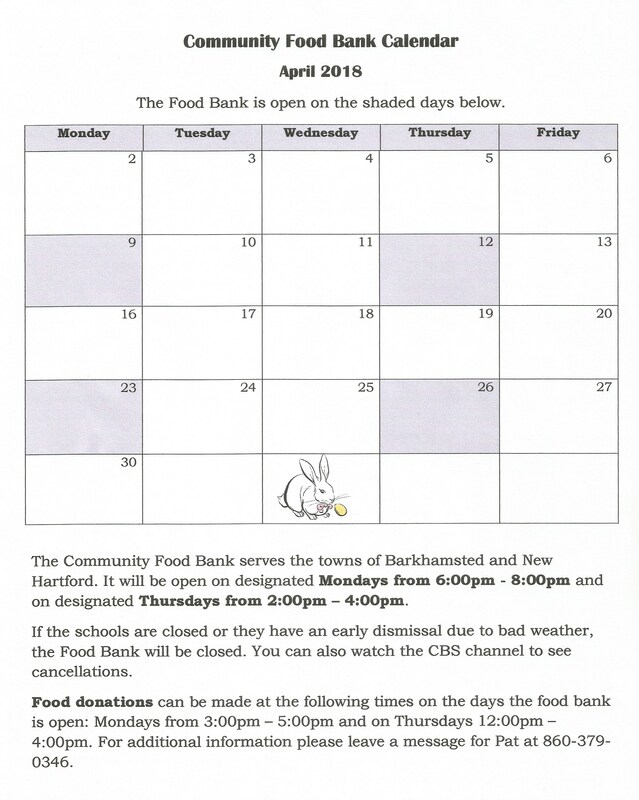 The May calendar for the Community Food Bank is shown below. To view it larger, simply click on the calendar. 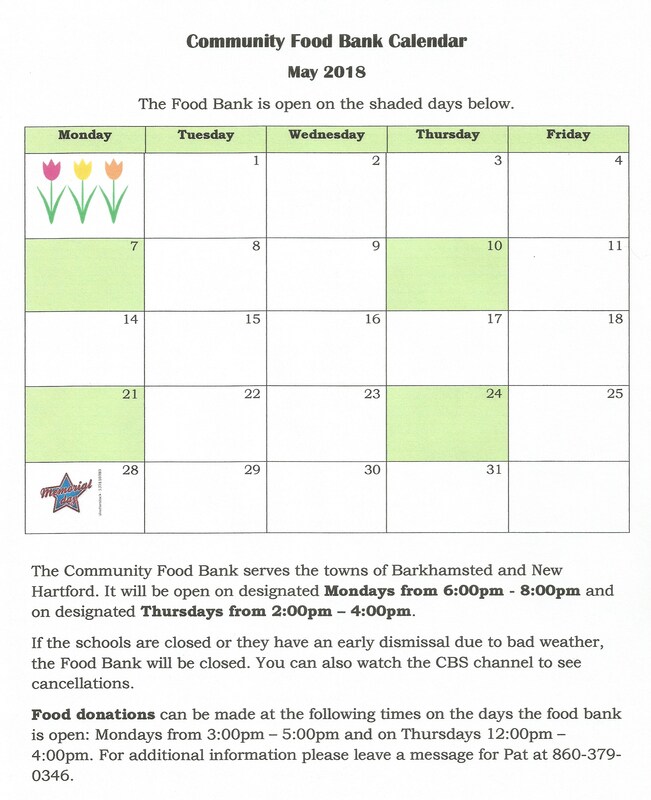 The April calendar for the Community Food Bank is now available on-line. To see a larger view of the calendar, click on it or go to the Food Bank category at the right side of this page. For any questions or to leave a message, you can call the Food Bank at 860-379-0346. The Community Food Bank, housed at Pleasant Valley United Methodist Church, services residents in New Hartford and Barkhamsted. The March calendar is below. To view it larger, simply click on the calendar.